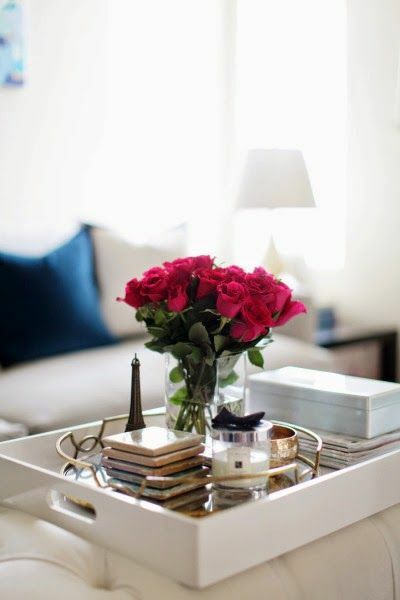 One of the easiest ways to update the decor of your living room is to style your coffee table. Just display a few key pieces and accents on your table et voilà ... your room has a fresh touch! Here are some key elements that I consider when designing for my clients. If you’re looking to create a stylish coffee table at home, take a look at the guide below. It's super fun and easy to do. Let’s get on with it, shall we? Begin by distributing the objects into into 3 or 4 sections. Start the layering process with a beautiful tray. Stack a couple of books or magazines that reflects your personality. Make sure to stack them neatly with the larger books on the bottom. A beautiful bouquet of flowers or a plant always gives a room life and color. Peonies or hydrangeas are my personal favorites to display. This piece can be a sculpture or a tall candle holder. It's a great opportunity to introduce the texture of metal. 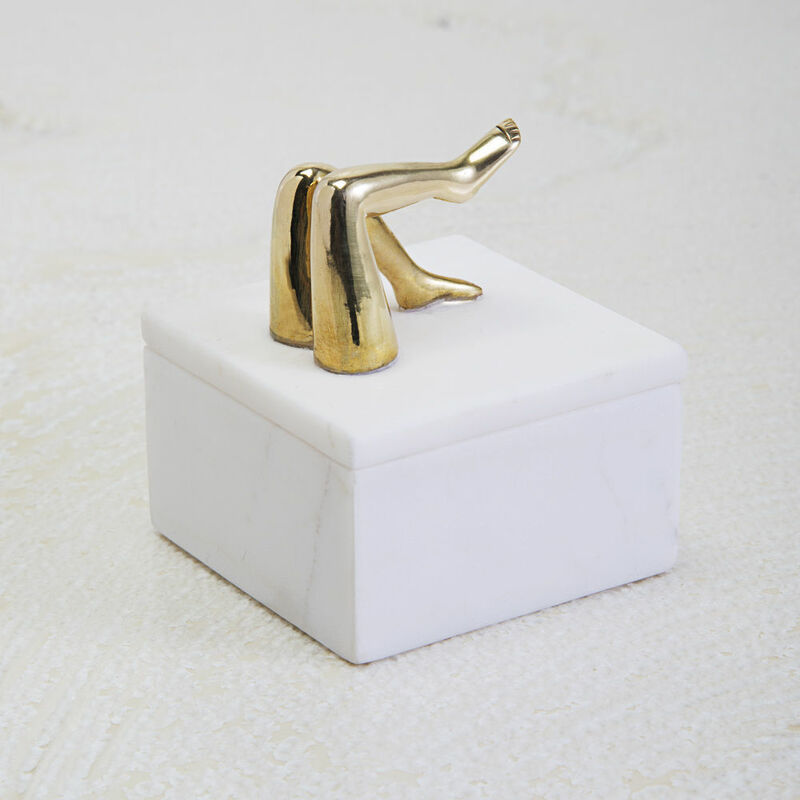 A brass candle-holder for example adds a pleasing textural element. A functional accent can be a pretty bowl or a great box (perfect for extra storage). Have fun choosing this piece. Why not choose a beautiful inlaid wooden box or a stone carved piece to add that sophisticated touch? Lastly, place the smaller object on top of the stack of books and you're done!